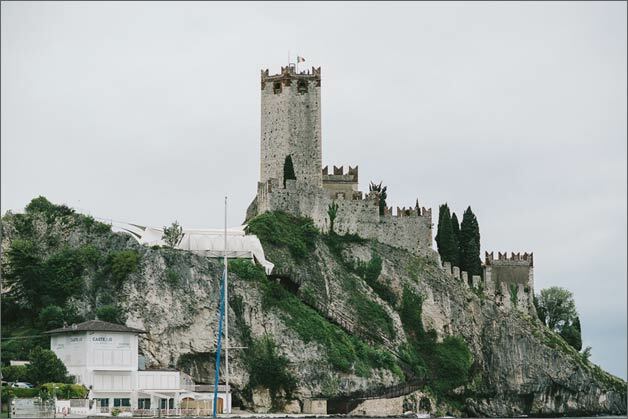 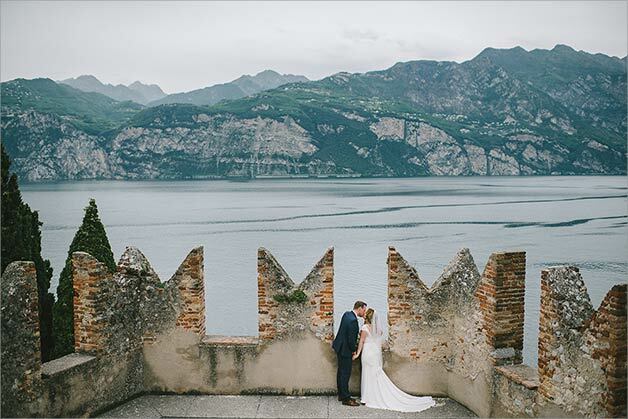 romantic wedding in Malcesine Castle overlooking Lake Garda for Ellie and Martin. 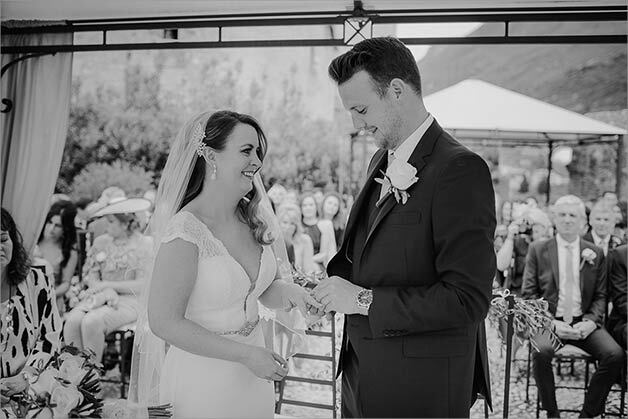 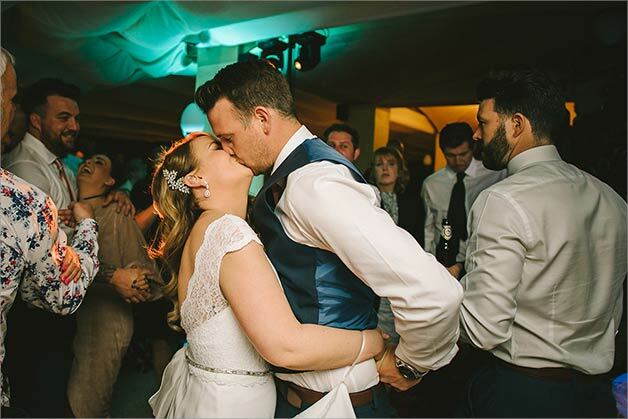 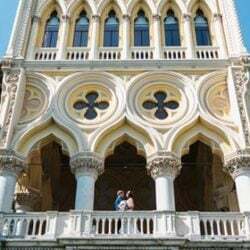 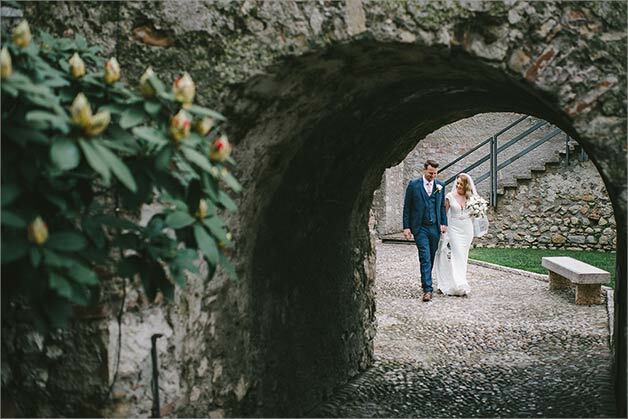 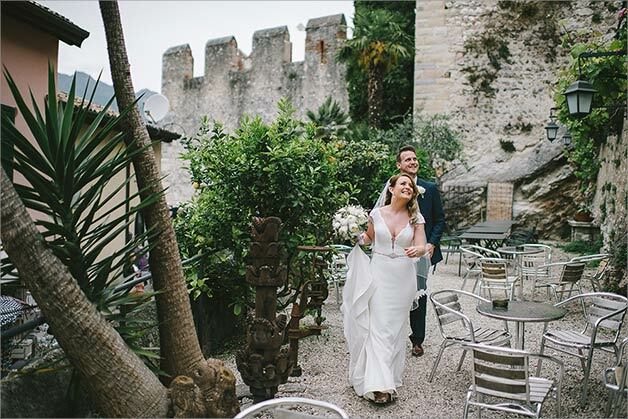 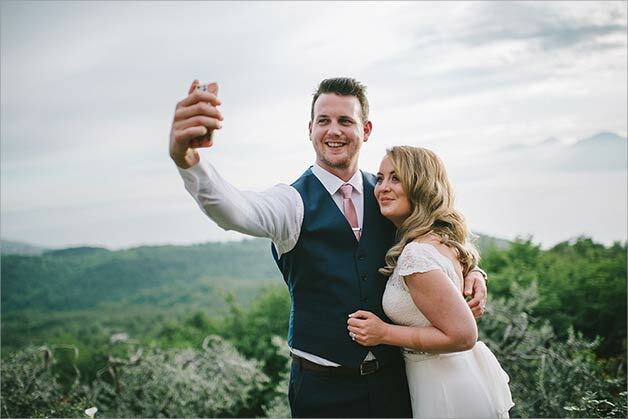 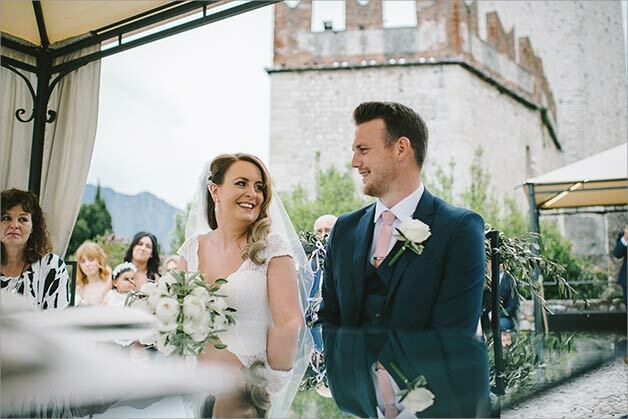 Ellie and Martin are a couple who travelled with their families and friends from England to Italy to make their dream come true: getting married in Malcesine Castle on Lake Garda! 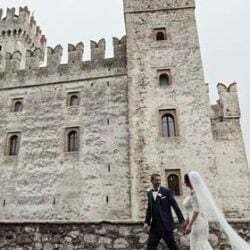 Malcesine is a wonderful village with narrow cobblestoned roads, a medieval castle standing on the highest side of the hamlet, and a rich cultural heritage. 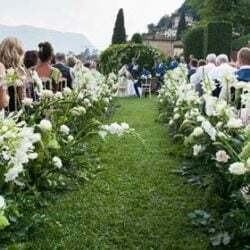 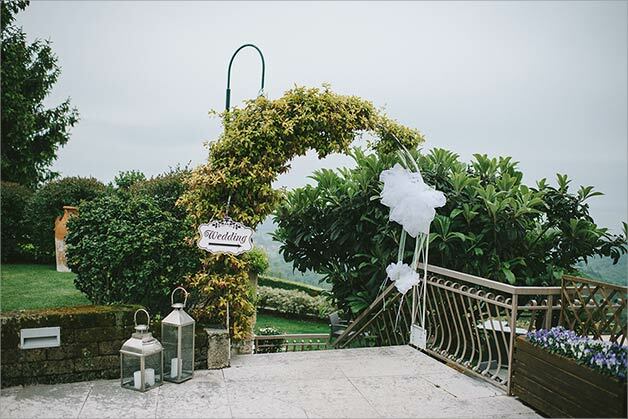 Olive trees decors make wedding ceremony venue romantic frame overlooking Lake Garda. 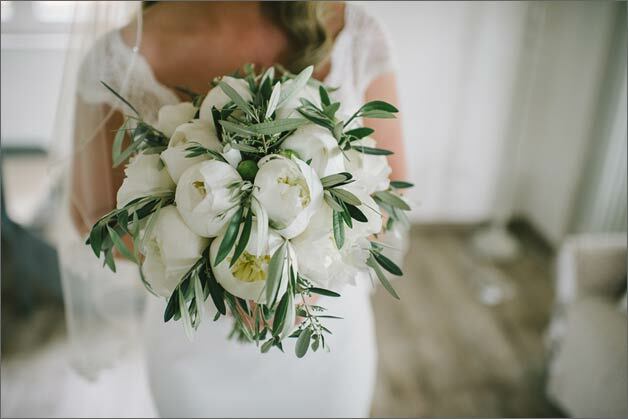 Ellie chose white peonies and olive branches for her wonderful bridal bouquet! 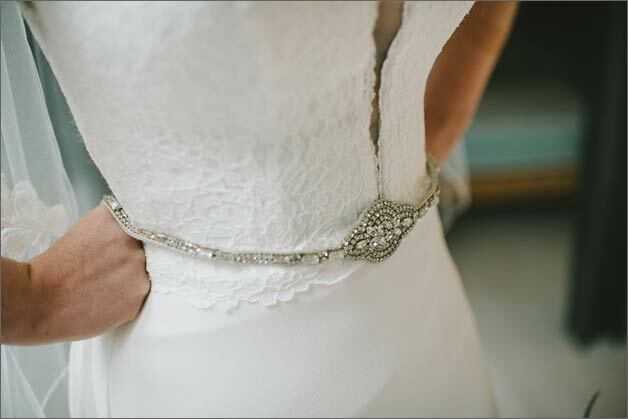 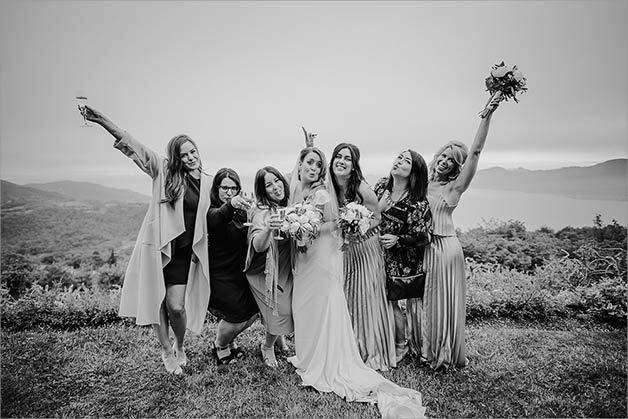 Bride, bridesmaids and relatives got ready in a cosy apartment on the hills of Malcesine village. 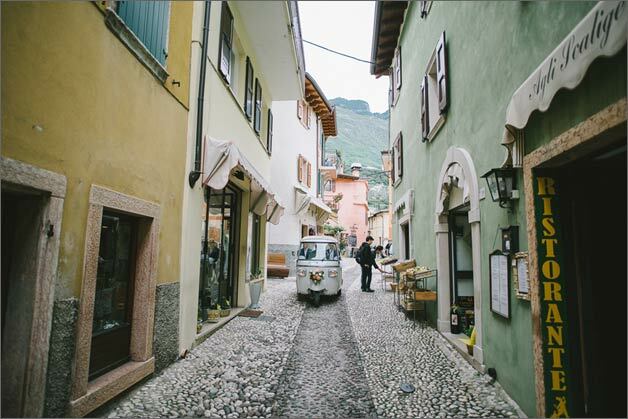 Ellie reached Malcesine castle on a nice white Tuk Tuk which can easily travel down the narrow cobblestoned roads of the historic centre of Malcesine. 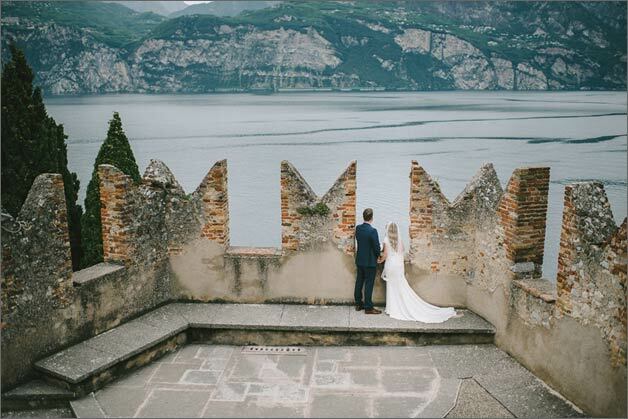 Malcesine Castle has stunning terrace, the ancient rivellino which, overlooking Lake Garda. 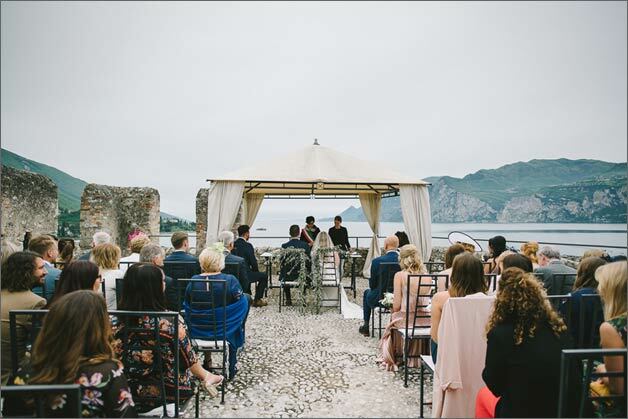 The perfect spot for your wedding ceremony. 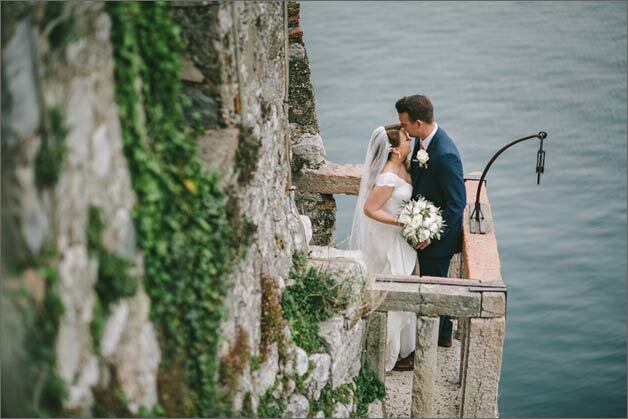 This incredible wedding ceremony combines the charme of history with the beauty of a breathtaking natural landscape. 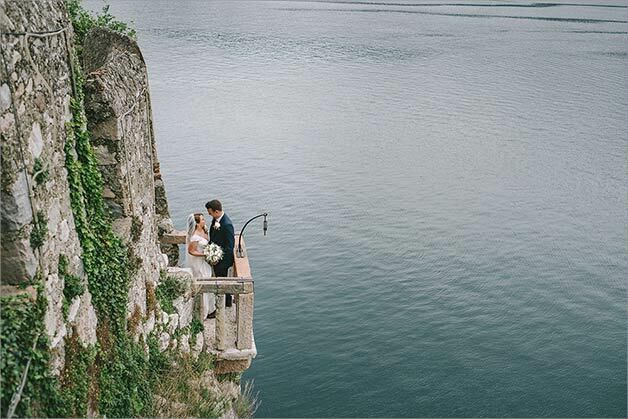 After wedding ceremony, wedding photographer took a traditional picture of the newlyweds exchanging a romantic kiss on famous balcony perched over Lake Garda. 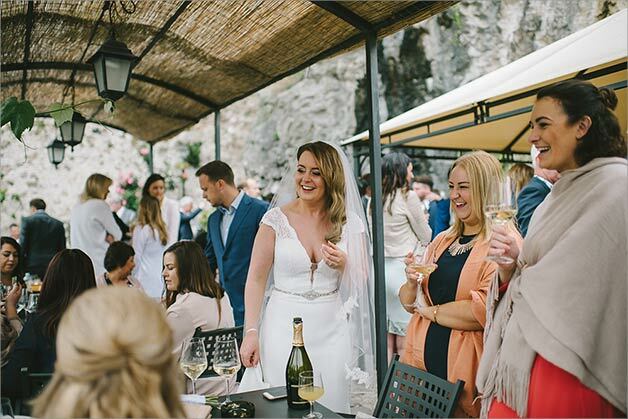 Only after that bride and groom joined their relatives and friends for a glass of local Prosecco! 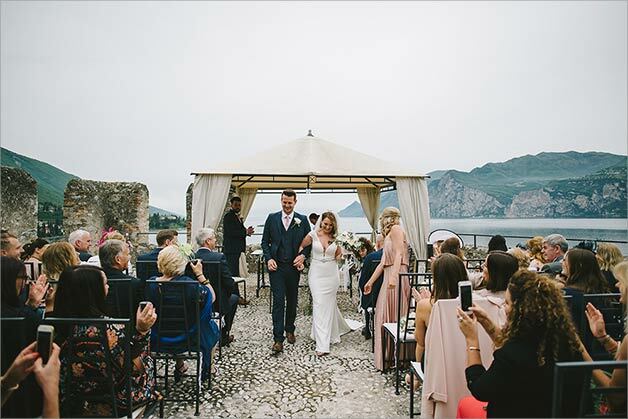 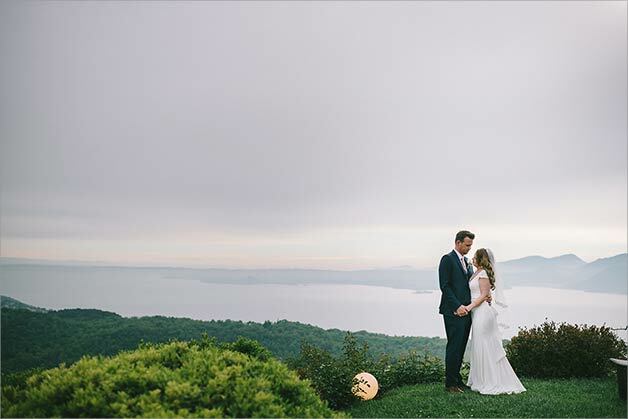 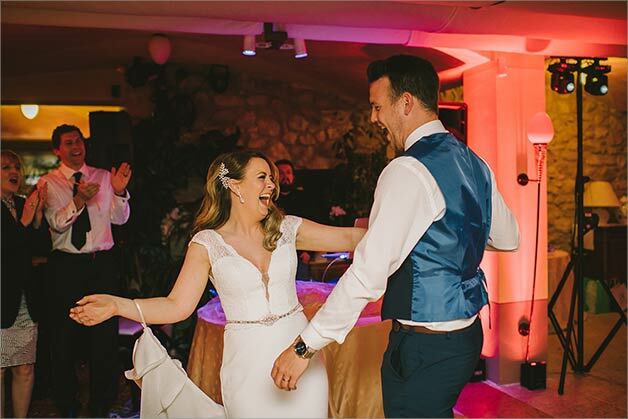 After wedding ceremony at Malcesine castle and aperitif enriched by a delicious buffet, Ellie and Martin led all their guests to a fantastic restaurant on hills surrounding Lake Garda. 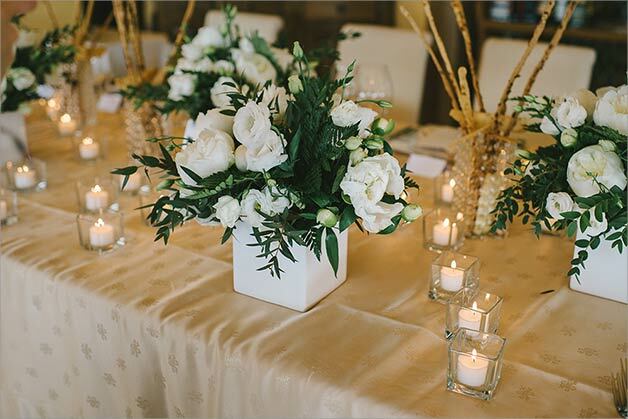 Green and white flowers bouquets decorated tables while, once the sun set, twinkling candles lights added a romantic touch to the atmosphere. 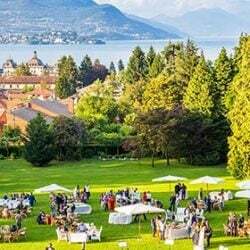 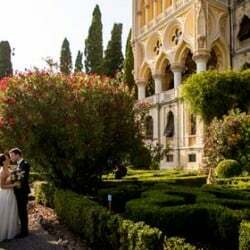 Wedding reception venue has a romantic garden and a terrace with an unbelievable view over Lake Garda. 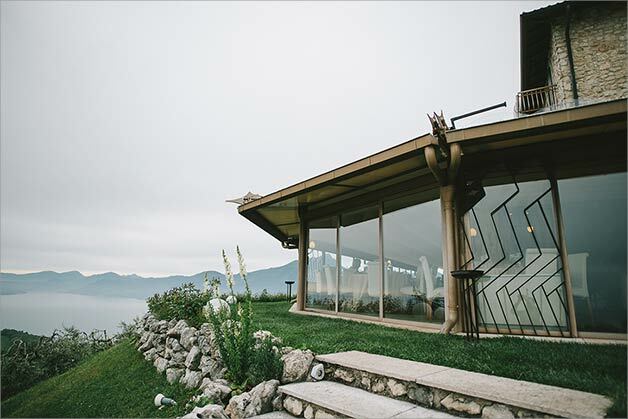 From here you can have the real perception of both dimensions of Lake Garda and its surroundings. 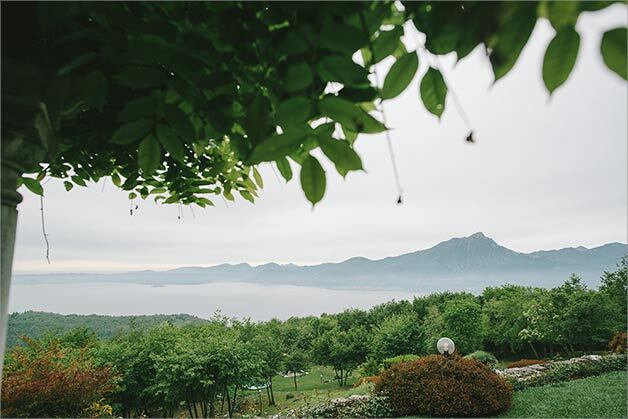 Intimacy and silence make the atmosphere just special. 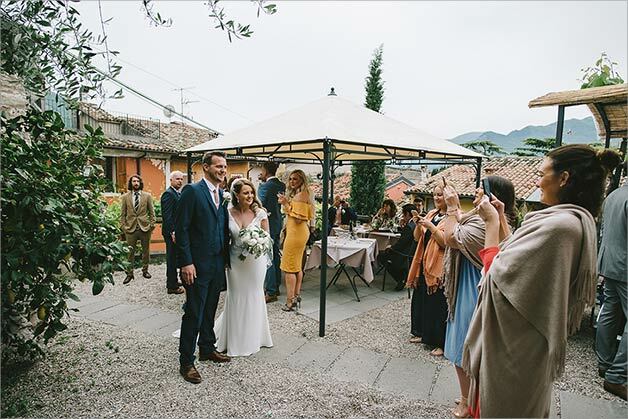 Wedding party started with a welcome aperitif followed by a gourmet wedding dinner. 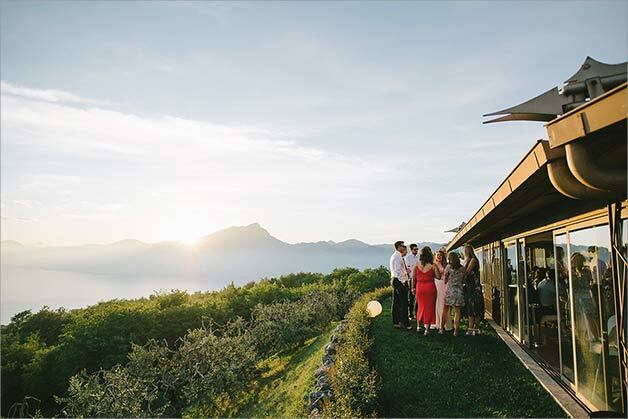 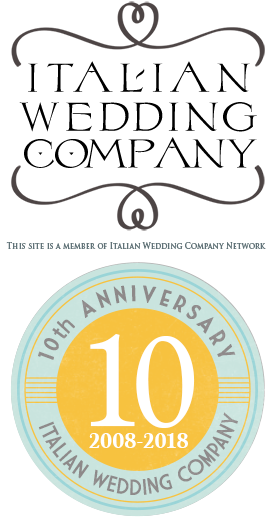 This multi starred restaurant provided everybody with the great opportunity to enjoy traditional Italian cuisine! 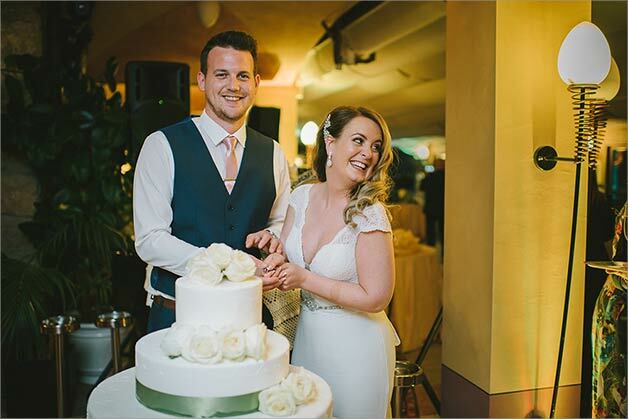 Cake cutting is the very last moment of the dinner but for Ellie, Martin and their guests it was the beginning of a great dance party! 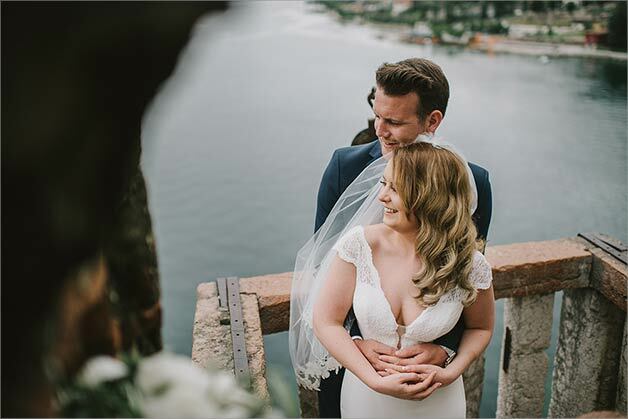 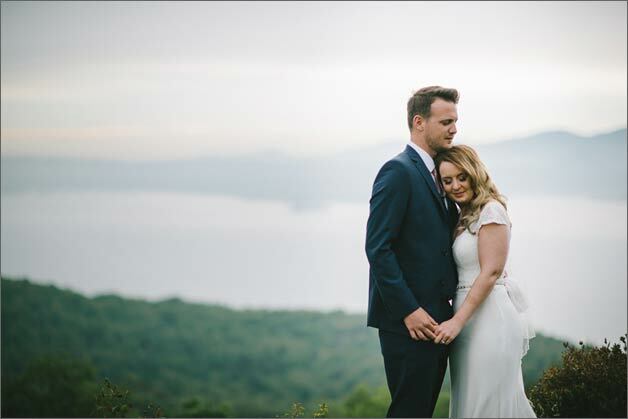 Ellie and Martin, what a romantic wedding on Lake Garda! 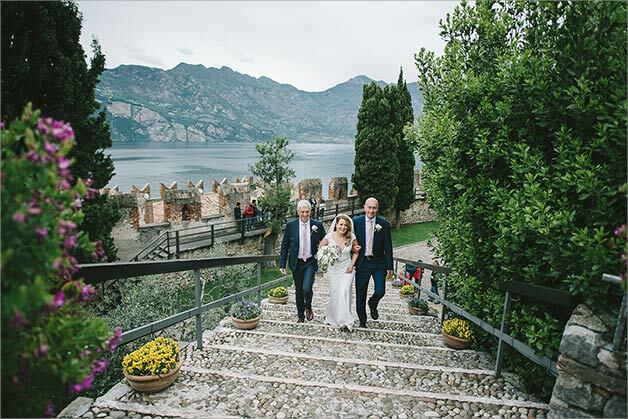 We are very grateful to Lorenzo Poli who took amazing wedding photos these to keep alive our memories of this romantic wedding on Lake Garda. 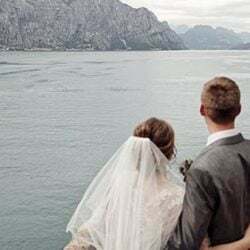 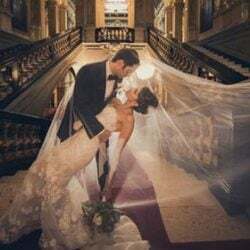 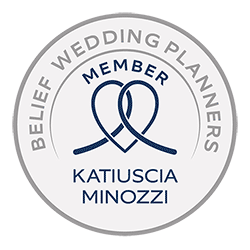 Can you give me an estimated cost for a wedding in late September/october 2021. 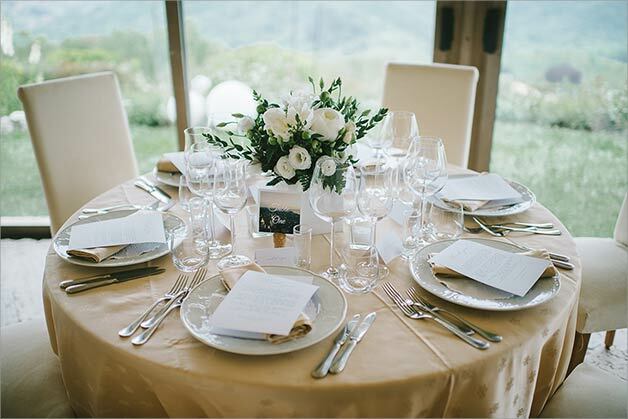 It will be for an estimated 30 guests. 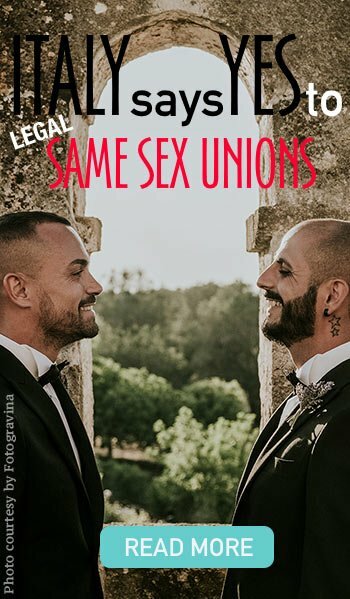 Do you also offer any accommodation. 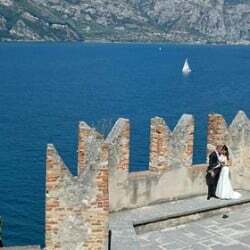 thank you so much for your request, I’ll be happy to send you all the information for your lovely wedding on Lake Garda!